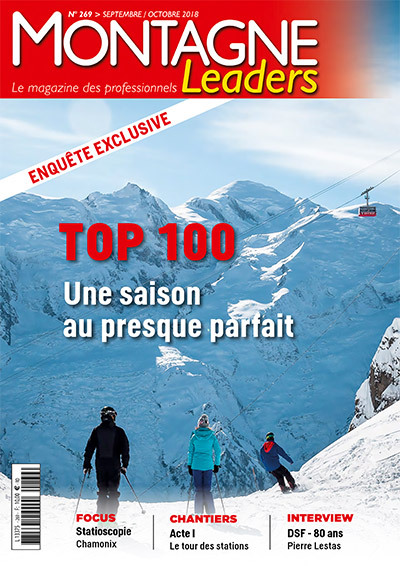 ‘Montagne Leaders’ magazine have recently published their annual survey, showing which resorts have generated the most lift pass revenue. The Savoie region of France contributed 46% of the 1.3 billion euros of revenue, followed by the Haute Savoie (26%, €355m) and Isère (9%, €123m). The Savoie sold 20.7 million days of passes in winter 2017/18 and the resort with the most skier days was La Plagne at 2.4 million. Valmorel was the resort that saw the biggest year-on-year increase of 5% to 515,432 skier days. Compagnie des Alpes, which operates resorts including Tignes, La Plagne, Les Menuires and Serre Chevalier, was responsible for €458 million of sales – 33% of the total. The next group organisation is Chamonix Mont Blanc followed by Société des Trois Vallées.